(whether you`re in Nigeria, Kenya, South Africa or any other African countries, the situation is similar). I know it`s not easy because I have been in the business world for over 20 years. And you see, I`m NOT a millionaire myself, yet. but I can show you how to have a good start for a very profitable business of your own in Nigeria, Kenya, Ghana, South Africa or any other African countries. I am NOT talking about Making money online here. I am NOT talking about Fiverr, Mini-importation, Gambling etc. I am talking about physical world, practical business. I`ll be willing to become your friend and to show you how to start your own business and how to make a lot of money from your business … step-by-step. And if you have any concern or questions bordering you about starting your own business or about making money from your business and you want to discuss with me, you can consult me for free. 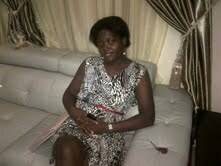 or meet one of our team members in our Lagos office at No 90, Lagos road, Ikorodu, Lagos State. Why am I so confident that we can show you how to start your own profitable business and make money in Nigeria? Because I have been in the Nigeria business world for over 20 years. I have tens of business tactics, techniques and strategies you can hardly find anywhere else. I am a business man who has been in the business world (per-time and full time) for over 20 years. I`m a business consultant, a motivational speaker and the author of 5 business books. 2 of my books have been to over 10 countries of the world. I and my wife live in Nigeria. I grew up as a sickly boy in a poor Village call Oyi-Adio, Osun State, Nigeria. That business did NOT make me a millionaire but it made me richer than my mates, so I call it a successful business. Yes, I rejected offer to work for bank because all I wanted to be is a business owner. I had to face a lot of challenges. But because I have gathered so much business knowledge (from hundreds of books), it was easier to move forward. Today, my business wisdom has “traveled” to tens of countries of the world, my business books have been to over 13 countries and many people regard me as their “mentor”. because I have gathered so much business experience and knowledge in the last 20 years. You Can Start Your Own Business and Make a lot of Money from it. Off course, you probably hate your job and you`re aware of the unemployment rate in Africa. On the 16th March, 2014, Punch Newspaper published a shocking new of how more than 18 Nigerians lost their precious lives when they were struggling to get Immigration job. wilsoncenter.org published a sadden post on 15th of Sept. 2010, of how Kenya’s youth unemployment rate stands at 65%, which is among the highest in the world. The World Bank representative, Marie Francoise has revealed since November 12th, 2013 that over 100 million Nigerians are living in abject poverty. That is only Nigeria, not considering other African countries. Because Millions of Nigerians and Africans are unemployed. Because over 7 million youths all over Africa are getting into labour market every year to add to the existing problem. Now, you can see that anyone who depends on job may end up being poor! Millions of Africans who are running around for jobs are not getting any, so many of them are dying in attempt to get a job. You must start your own business …………………. now! It`s not easy to start a business in Africa. And from my 20 years` experience, it`s even easier to start a business in Nigeria. Kenya or other African countries than to make money (good money) from business. It`s not easy to make much money from business in Africa. But it`s very possible, if you`re serious, determined and willing to learn. I will give you my private phone number, so you can call me whenever you have any challenge you think my wisdom could solve. Doing this under the umbrella of the Africa Business Classroom (ABC). … from my age 15 when I started my first personal business till now…. You have to read this course! This course is in form of PDF which will be sent to your e-mail address. You can get it from anywhere in Africa and you can read it through your phone or Laptop. This business course is different from anything you`re used to for three reasons. First, because it was written by an experienced business man who has spent over 20 years (per-time and full time) in the business world, learning, trying and doing. You`re about to read proven and tested principles that will help you to start your own business and make money from it. The second thing that makes this course different is that it was written by an African, who has been in the business world in Africa for many years. You see, there are thousands of books out there about business, but what you will find out is that many of those things the authors teach are not practicable in Nigeria or Kenya. Though he will do his best to write everything he knows, but he can never write FOR YOU because there is no way he could understand the business environments of Africa. This is a course written for YOU, because it`s written by an African who has years of practical business experience in African business environment. That`s another thing that makes this course VERY different. I have been in the business world of Africa for years (per-time and full time), so teaching you how to start a business here in our land should never be my headache. The third reason why this business course is unusual is that it`s not just a book. I won`t`just send this course to you and forget you. I will give you an opportunity to have access to me directly by giving you my private phone number and WhatsApp number. It`s not very easy for me to give my private mobile line to many people and that`s one of the reasons why only 1000 serious Africans can be allowed to get this course this time around. What if my private phone number is not available for you to discuss with me? And if you`re not a Nigerian, you can easily contact me on WhatsApp and ask me any business-related question or concern. My private phone number and WhatsApp number is on page 5 and page 78 of this course. Simply open and contact me. If you ask me anything I don`t have a perfect answer for, I will connect you with any of my business friends who is an expert in such field. This business course will teach you three things. Starting a business is not a problem, don`t you know? Making money in the business is the number one challenge for many Africans. Thousands of Africans have started businesses and lose money because they don`t know how to make money from their business ventures. And that`s the reason why I use over 70% of this course to teach you how to make money from your business in. This course will teach you, comprehensively about how to make money from your business. This course will teach you how to stand strong, beat competitors, remain the leader in your industry and be a business giant (not just a self-employed person). Starting a business is not a problem. The real problem is in making money from your business. Read page 35 of this course to see an important step you must take to make your business successful. To make your business profitable in Africa, you have to be smart, strategic and tactical. Most Africans don`t know how to go about this. I will teach you on page 26. If you start a business today, you will definitely have some competitors. So tell me, how do you plan to make people buy from you and not your competitors? This is a big problem for most African business owners. It won`t be a problem for you anymore after reading chapter 11 of this course. Governments, news agencies and other people in Africa are advising you to be self-employed. That`s a bad advice. You don`t have to be self-employed. You have to be an employer of labour and a giant business owner. You`ll learn how to achieve this through this business course. 3 things I did between June, 2007 and July 24th, 2008 that helped me to be whom I am today. I will show you how you can use my exact secret in page 25. I have read from near 300 books about life and business even BEFORE I started fully in business on 24th July, 2008 so I thought I had knew so much and I was so proud until I later discovered something else which I’ll teach you on page 46. How the bad things that are happening in Nigeria can help you to start your own business. Believe me, some people are already taking the advantage of the ugly situations of Africa to be rich (by solving some national problems and make money doing so). This course will teach you can build a prosperous business, despite the ugly situations around you. The biggest mistake Africans make whenever they want to start business which is the reason why they fail. You have to know this mistake or you too will fail in business. Read page 24. A simple practical step you must take NOW, if truly you want to have a profitable business in Nigeria. You don`t need money to do this yet, most Africans don`t know about it. The business secret I learned from a great business leader about 6 years ago that is helping me to make money when others are losing money in business. The name of that business giant is Brian Sher. I will share what I learned from him with you on page 25 of this course. How to make much money from business in Africa without inventing a new thing, provided you will follow my advice on page 40. Just as you cannot win a battle if you`re not having war strategies, you cannot have a lucrative business anywhere in Africa if you`re not having business strategies. Read page 27 of this course to know how to get business strategies that will make your business profitable. Do you know that you can sell a good product or offer a great service and still not make money? Yes, if you don`t know what is on page 36 course. There is one business book I came across in the year 2008 and I still revisit it till today because the book has taught me so much about business. 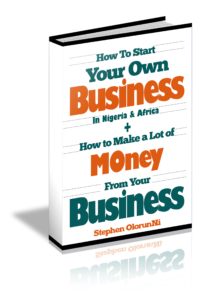 Every African who want to make money from business must read this book! I will tell you the name of this great business book on page 26 of this course. How I turn my talent to business and make money and how you too can turn your talent to a profitable business in your country. (pages 59-60). Must you lie before you can make money? I don`t lie and I make some cool money. I will reveal to you what most people don`t know which make them think that they have to lie to make money. Read page 37. As you want to start your own business, what is the best thing to sell? Should you sell what people need or what they want? You will be surprised that you don`t know the answer until you read chapter 11 of this course. One thing Dangote and every African`s successful business man/woman do to make money, but which they may never tell you. I too do this and I’m willing to tell you on page 28 of this course. Do you know what marketers call USP? If you don`t know about USP and how to use it to start and make a business profitable, then why do you want to start a business? Don`t try that or else you will waste your money. Read pages 57-62 to know about USP and how to use it to start, run and make money from business, in Nigeria. One important business “secret” I taught two of our entrepreneur “students” on phone in the last few months (about starting a business). I will teach you the most important thing I taught them in chapter 14 of this course. Most Africans who are starting business think they must sell their products and services at lower prices if the will attract people to what they are selling. Just do what I will teach you from page 80 of this business training and you will be able to sell at normal (or higher) prices and your customers will even rush to buy from you. There are so many other practical business secrets inside this training that will help you to start your own business, make a lot of money and sustain a giant company, in Nigeria, even if you have little capital. If you want me to teach you everything you need to start your own profitable business and you want me to reveal to you the secrets of making money from business, you may have to pay #50,000 or more for my time and knowledge. You may even have to travel and come and meet us at No 90, Lagos road, Ikorodu, Lagos or we meet in a hotel, which will add to your expenses. Now you don`t have to pay such amount to buy my time and business knowledge, nor do you have to travel a long distance. We are giving 1,000 copies of this business training out (for now) on a special discount because of Africans who are unemployed or low income earners. More than 50,000 Africans are going to read this page as you`re reading it now. In fact, you may be surprised if you know how many people are presently reading at the same time with you yet, only 1000 serious people will be able to get this course at discount this time around. This amount is 917 Kenyan Shilling, if you`re a Kenyan and 147 South Africa Rand. If you`re from any other countries, don`t worry, you can use your ATM to order for this course easily. …….the above discounted price is, IF you pay for this course before the discounted copies are finished. With the Africa`s current population of over 1 billion, with millions of unemployed and underpaid employees who want to start their own profitable business, why are will giving only 1,000 copies of this course on discount, why not 1 million copies or more? Because this course is far more valuable than even its original price of 35 dollars (#7,000 in Nigeria) so giving it out at such a little amount is an act of generousity from us. This discount is still available today, Saturday, March 2nd 2019 and tomorrow. Please Note; If you`re not able to order for this course today or tomorrow, you may send us a text on 08147926254 to reserve a copy for you till the next two or three days. If the 1,000 discounted copies are finished or if we wake up tomorrow and decide to, we can change this price. The special discount is still available today. If you wish to get this course when it`s still cheap for a token #1,999 in Nigeria (which amount to about 9US Dollars outside Nigeria) you have to get it NOW. And you see, there is no other place (as far as Africa is concern) where you can get any detailed and life-changing course like this one easily as you can get it now. The first man to read this course is Mr. Faith Philemon. Because this course contains many business secrets that only 0.1% of Nigerians know. If you read this course and your life remains the same, then, I am a fraudster. Obiageli Azubuike is a passionate woman who has being dreaming of starting her own business before she came across our book and read it. If you have been dreaming of starting your own business and being on your own, here is a course you must read. 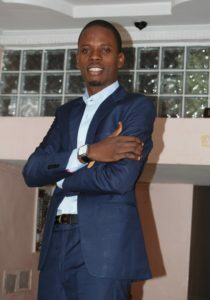 After reading Mr. Nwandire`s mail, I concluded that truly, I know hundreds of business tactics, strategies and techniques that 99.9% of Nigerians don`t know. I was happy the day I received Mr. Chike Ezeji`s mail. Ever since September 27th 2007, we have heard and received so many testimonies of how our business training, books/course have helped so many Nigerians and Africans. Can I Get This Course if I Am Not in Nigeria? YES. This business course is written for anyone who want to start a profitable business in Africa, regardless of where you`re now. The course will be sent to your email address and you will get it, no matter where you are in Africa or outside Africa. What if I have very small or no capital to start a business, can this course help me? I understand this situation and that`s why I go extra mile inside this book, to teach you how to get resources to start a business of your own. In this course, I wrote a whole section where I teach you the proven tactics and strategies I have been using for years to get capital and resources I needed to start my businesses. I wouldn`t tell you that it`s a magic or it`s possible without any effort from you, but I`m telling you that getting resources to finance your business is very possible… and I will teach you how to do it inside this training. What do I need to be able to read this course or how can I get this book? This course is an e-book, on PDF. It will be sent to your e-mail address and if you don`t have an email address text/call 08100446044 (+2348100446044 from outside Nigeria). You can read this course through your phone, laptop or desktop computer. You will need a pen and a notebook as you`re reading it because it`s a practical book that will give you many inspiration, business ideas, tactics and business secrets you will have to note down. How Can I Order For This Course? This is the option you will use if you`re outside Nigeria or if you want to make it so easy and simple for yourself. That`s the joy of it. Another thing we`re proud of is that since people have been ordering for this course through the above online payment medium, NOBODY has ever called or mailed us to complain about anything. Hundreds of thousands of people all over the world have used and still using Gumroad to make online payment and it`s known to be one of the simplest, fastest and secured way to order for things online. With the above option, you will get this course in your email address immediately. If you use this second option, simply send your e-mail address and your name to 08147926254 and your course will be sent to your e-mail address immediately. If you pay online, you will download your course immediately, NOW. If you pay through direct bank deposit or internet bank transfer or ATM transfer, we will send this course to you immediately after we receive your name and email address. 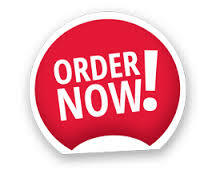 Yes, there is one great business book you will receive as bonus for ordering for this business course. This business book was written by someone I myself call business a genius, Seth Godin. I`m not the author of this book, nor am I the one giving you. I will only give you the link to the blog of Seth Godin where HE gives the book out for free. What if You Don`t Like This Course? What if this course is another internet fraud? What if this another lie as we use to see in on the internet? We will not ask you any question. 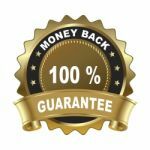 Your money will be refunded 100% plus our apology… guaranteed! You hardly ever read anything like this course before and you can NOT find anything like it easily, anywhere in Nigeria. Second, because we`re far bigger than a token you may pay for this training. Get this course in your email instantly. Order for it online on our United States`, secured payment processor. The above option is VERY simple and easy and secure. Just in 3 minutes, you will get this course in your email address. NOTE; If you`re outside Nigeria, the above option is the only one you can use. You can make direct bank payment of a token #1,999 to any of the above banks. If you order for this course online, you will get it immediately. Learn how to start your own profitable business today Saturday, March 2nd 2019 when this course is still cheap.